Here's a little solution i adopted for my gh1 (but it should work with gh2 as well - would just need to replace the DCC3 ith DCC8 coupler) to power it up from V-lock batteries. It can also power the lights and whatever you have at the same time. All with one battery and it will still run for ages. So it's basically this: http://www.ebay.com/itm/DSLR-BP-battery-Power-supply-V-mount-/270822043311?pt=US_Camera_Camcorder_Accessory_Bundles&hash=item3f0e406eaf that a friend of mine adjusted by adding 9.2V output (as i'm not very good with electronics/soldering myself). That looks really good, and would act well as a counterbalance on a shoulder rig too. 130W/h should give around 18 hours continuous usage :-D. All I need now is a 3TB SD card and I'm set. @PerryWilson the Vagabond sollution looks interesting and economical, but I don't quite understand how it's connected to a GH2. I cant't see a 9V (or similar) output from the Vagabond? Or do you plan using the Panasonic AC adaptor connected to the Vagabond? That would seem a little too bulky to me..
@PerryWilson do you have any pics of your setup with the vagabond?? thanks! I use the Tekkeon battery + original DC coupler with CPM's custom rail mount attachment. Here, I also use it as a light counter-weight on my rig. While hand-holding I can just slip the battery into a pouch - it's not as 'clunky' as V-mount or Sony type battery solutions. @ed_lee83 Cool setup, CPM tools has some quality stuff! Where'd you get the adapter for the gh2? @DslrDan You mean the coupler? eBay. Jag35 just launched a battery adapter for the GH2 that works with their branded battery. I visited their office a couple weeks ago. I really like what they're doing and I think the quality of their stuff is pretty darned good. Haven't tried the battery out yet, but I'll be purchasing it online tonight and will let you all know how it works. Supposedly the basic battery will last a day or two with the camera. The battery isn't removable so, you'd need a backup source when it drains - another Jag35 battery or good ol' panasonic batteries. Still, I like that it's an all-in-one solution and can be adapted to fit on rails with rail blocks. The downside, in my opinion, is that it's more expensive than some of the alternatives on this page. @5thwall: Dont you think that 350$ is a little too much for something you could easily build yourself for about 50 bucks? 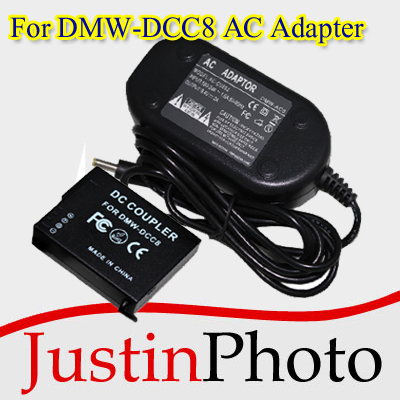 Using the dc coupler and some chinese 9v 9800mah battery off ebay? Picture with GH1 only, u have to specify GH1 or GH2 for the coupler if u buy from them. @fatpig As I said in my post, I felt the one downside was price. However, it's a guaranteed, warrantied, and tested solution that will fit on my rig easily. Also, It's built by a local southern California vendor and I want to support their company. For me, there's a lot of value in that. For reasons of simplicity and compatibility I decided to go the V-mount route. Does anybody know a reseller of good cheap V-Mount batteries around 130Wh in europe? @5thwall Any update on the GH2 Power Adapter by JAG35? Can anyone else comment on this unit? @redpaw Could you or your friend provide us with info about the circuit you have built into the V-mount adatper? I have some ideas, but it would be nice to know about a proven solution. @SisterCities I haven't had a chance to really run it through it's paces. I'm going take it out this week. Initial thoughts - solid build quality, good customer service, and plenty of screw holes that you can attach a rail block to for fitting on rails. One thing I'm a little concerned about is the power cables getting pulled out from the side, but a little gaffers tape should fix that right up.